I play on mac so it shouldn’t be that issue. 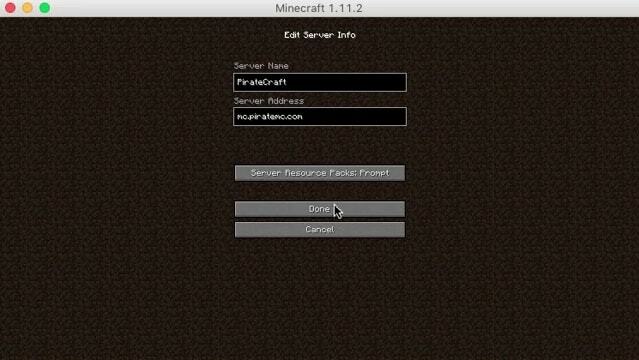 You might be using the new 1.13 while Pirate Craft is still on 1.12. Last month I thought to my self that having a monster in the water that spawns in deep depths and kills you would be cool. So I would vote for A making ocean travel much more dangerous and maybe even making weapons on subs more needed than before. And for a second would have to be B. With some servers there is a timer of how long an item lasts in the auction, so the timer could be set for two hours. It might even be a good idea to give the auction ability to donators. I think auctioning is a good idea. I wouldn’t replace signs with it but it would be a faster way to find the things you want to buy. And like what dpex said, letting players sell items for an amount of time on it would help others find what they may need faster than having to roam around shops just to find the rare things. Located in Southern Michigan at the front entrance.